Very much a historic home as well as a historic house, it is an ideal stopping off point for bus tours, less than 15 minutes off the A74M (junction 18) at Lockerbie. On arrival buses are met by the Laird resplendent in kilt. 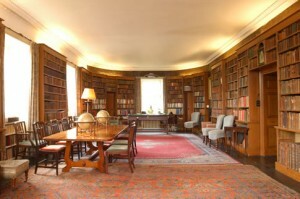 Guests are taken up to the Library where they hear all about the long and colourful history of the house and family. This is followed by a conducted tour of the house, seeing and hearing first hand the links with the Jacobite Rebellion and the Battle of Trafalgar. Tea is then taken, often outside if the weather is fine. The standard tour takes about two hours for which a minimum of 25 people are required.